This was one of the best attended camps in recent times with over 100 participants. The club had previously visited Port Lincoln 1995 and some of the members who attended then were back again this time. 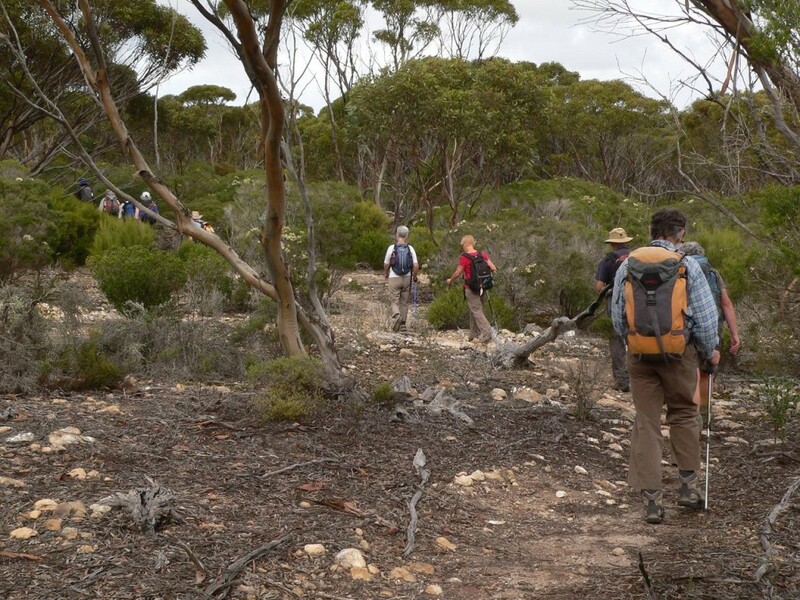 The organisers put together an interesting program of walks. 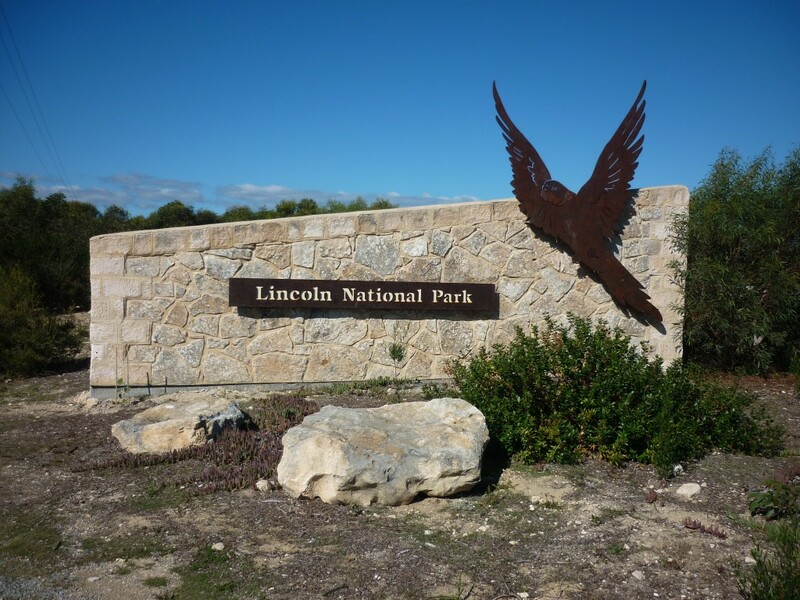 All groups enjoyed walks in the Lincoln National Park. 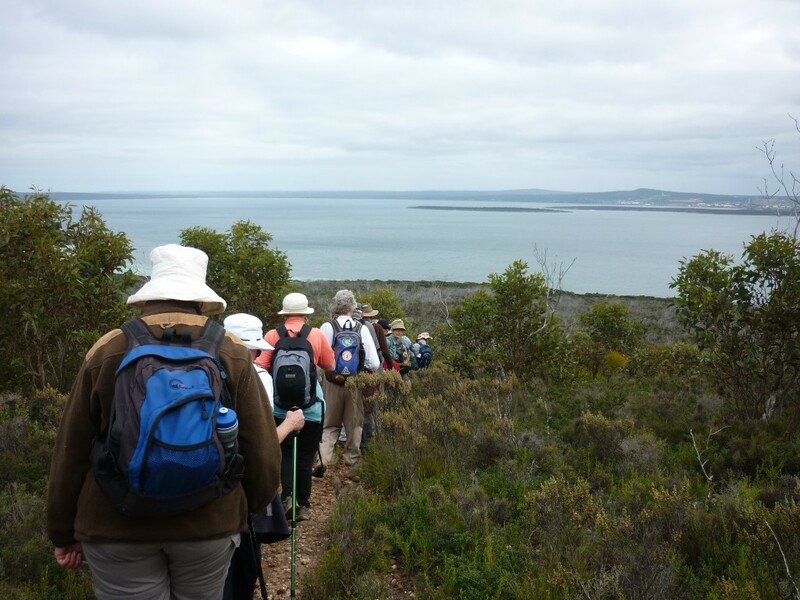 The A grade completed the 105 Km Investigator Trail around the coast line of the Jussieu Peninsula, the B grade did some of the trail plus other walks in the park. 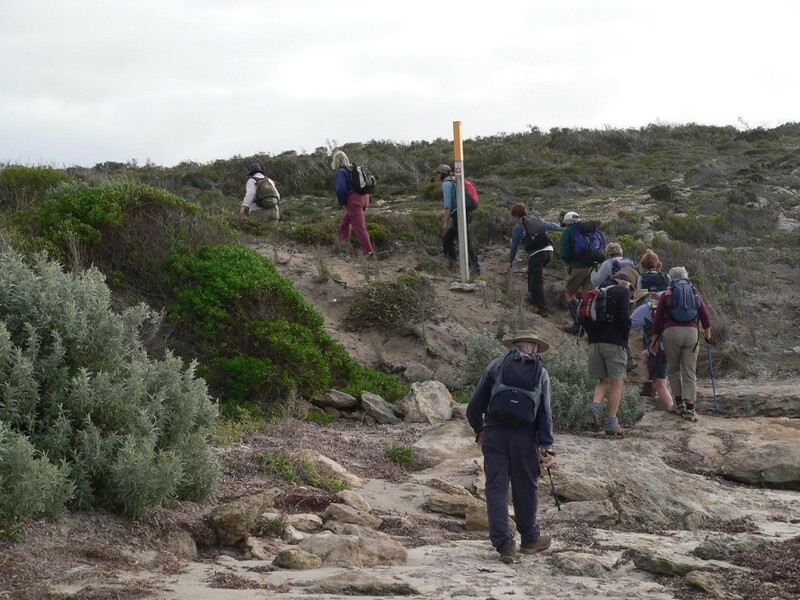 Although there are no hills in the area to challenge walkers some of the soft sandy beaches proved problem enough. 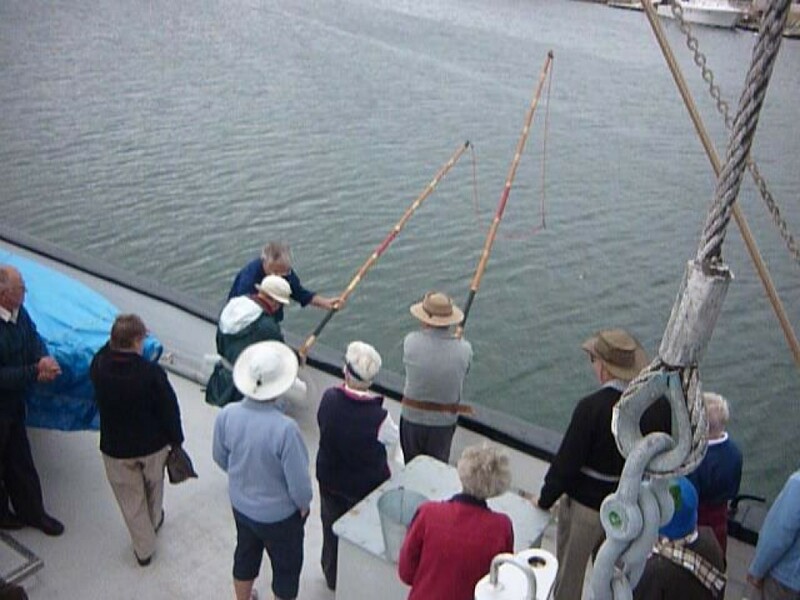 As well as walking in the park the C and D grades also walked around the Marina area, both groups had an informative guided tour of the restored Tuna boat Tacoma which included a demonstration of the old “poling” method of catching Tuna. As usual there was a happy hour each afternoon and this was held in the Lincoln Marine Science Centre, which is part of Flinders University. The centre conducts research into several areas of marine life and the site Manager conducted members on a very informative tour. After 3 days of walking there was a well earned rest day allowing members to visit various attractions in the area, two intrepid members went swimming with the sharks ! 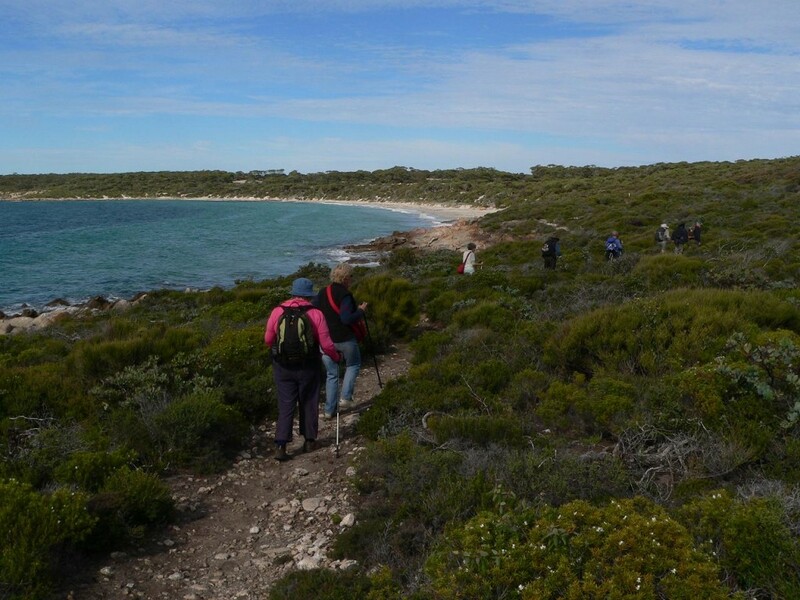 On the final day all grades travelled to Coffin Bay for a shorter than usual walk, finishing at the pub for lunch.